The GNEE board invites you to a night of fun!!!! Golf with lighted balls and a lighted course on Friday, August 14, 2015. 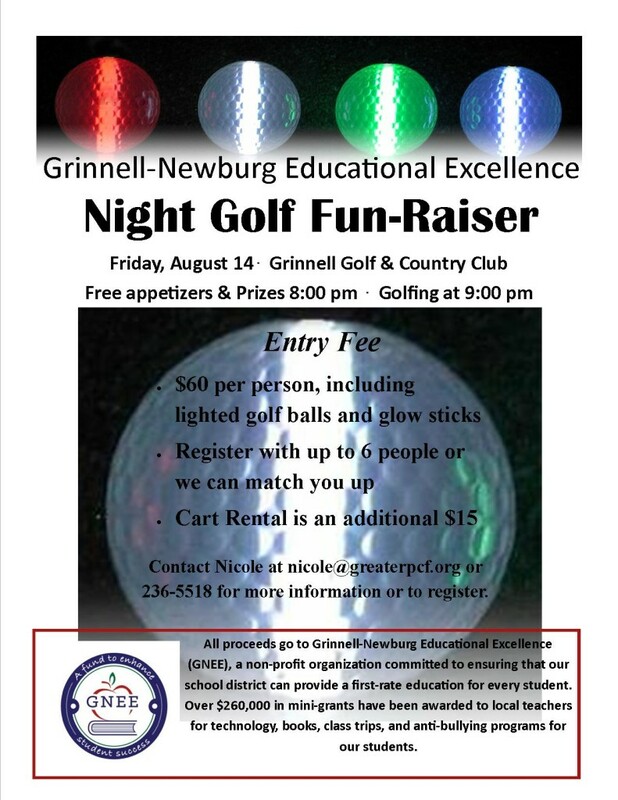 This event will will benefit teachers and students in the Grinnell-Newburg School District through a mini-grant program. See below for more details.